Well, it took four games and a $100 Daily Double, but Alex is finally within reach. And not only within reach – barring a terrible wager out of Becky, he’ll have to get it right to win. 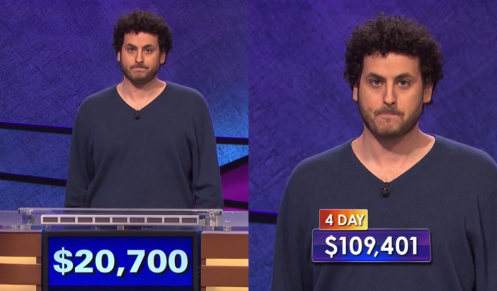 Now, Alex is officially 0/3 on Final Jeopardy!, but I’m guessing he’d really be 2/3 if someone had stuck his feet in the fire. We’ll see what he does here. If Becky doubles her score, she’ll have 37,200. 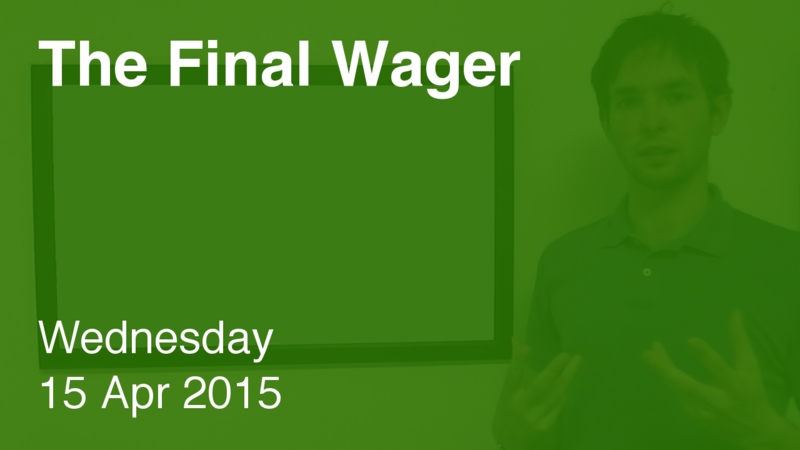 To cover this all-in wager, Alex will need to wager 16,500. An incorrect response with that wager will leave Alex with 4,200. To stay above his total, Becky can wager up to 14,400. A successful doubling will put Doug at 3,200. To stay above him, Becky can wager at most 15,400, but that’s too much, so we’ll ignore it. Alex could wager at most 17,500. Alex and Becky are too close for Alex to play any mind games. Unless he can predict to within a reasonable range what Becky is going to wager, Alex should either play for the lockout or go for the Colbyesque wager. Becky might want to restrict her maximum wager, however, just in case Alex gets tricky. …which means Becky might want to top off at 10,200. Becky should wager at least twice their difference (4,200) to account for the possibility that Alex will go small. Not noticing this, apparently, Becky wagered to cover a zero from Alex. It didn’t matter, because Alex went for the outright win and nailed it. This was a weird game, with all three players hunting for the Daily Doubles. I was hoping Becky might continue the theme of “copy Alex’s strategy” on that final DD with a $12,000 all-in bet, but she wagered just $3,000. It’s a good thing she got Final wrong, because she probably would be kicking herself in hindsight. Fourth, and finally, all three clues so far this week have been two-parters. What are (2 of) epsilon, upsilon, and omicron? Part of Alex’s success, I think, is that he saves his energy, both physically and mentally. Hence the relaxed face. And why waste brainpower trying to find an answer in there when you have a solid lead and you’re not catchable? 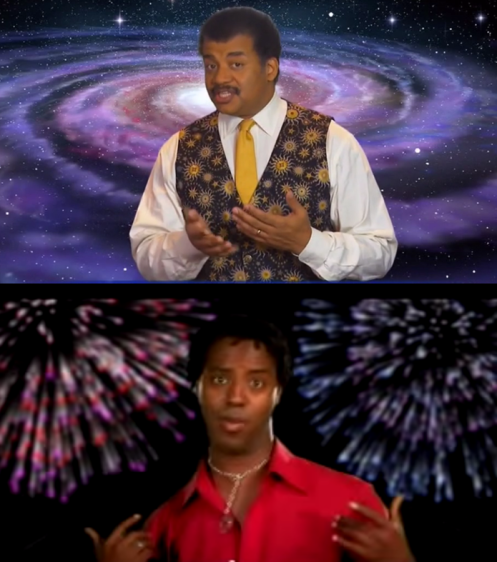 I hope he keeps winning.